Schimel let 3M go without a fine in 2016. 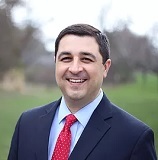 Josh Kaul won’t give polluters a pass. MADISON – In the wake of news that Wisconsin’s Department of Natural Resources is investigating more air pollution from 3M, Josh Kaul called out Brad Schimel’s soft-on-pollution approach. 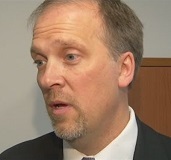 “From waiting until an election year to finally take some action to address the increased delays in testing at the state crime labs, to his failure to finish awarding school-safety grants before the start of the school year, Brad Schimel’s actions too often seem to be timed for political expediency. Hopefully, now that it’s an election year, Schimel will finally take real action to protect clean air and clean water,” Kaul said.